The Australian Fencing Circuit (AFC) includes age-specific championship events for men and women in foil, epee and sabre. Team events are run in all age categories except Under 23. Four additional circuit events are held for individuals in the open and veteran categories. Tournaments are hosted by an affiliated state fencing association according to a five-year schedule. Competitive affiliation is required for all AFC event others than the AFC Schools Championships (for which participative affiliation is sufficient). Schools (Individuals) Championships and the AFC Schools (Team) Championships, where the numbers of entries per State may be limited to facilitate the effective organisation of these events. The FIE rules relating to competitor ages apply for entry to all non-school AFF events. However, o.29.1 applies only for Senior, Under-23 and Junior (Under-20s) events. 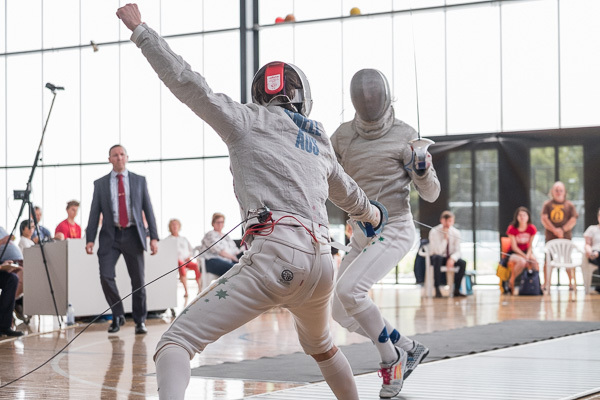 An exception will be permitted for these events where the fencer has previously achieved a Top 8 final ranking at an Under-15s AFC event, or a Top 16 final ranking at a Cadet (Under-17s) AFC event or is a member of the Talented Fencer Program. For U/15 events, fencers must be at least 10 years old on 1 January in the year of the competition. Exceptions from these minimum age requirements may be considered by the AFF Board on a case by case basis. The AFF hosts four different types of Team events. These are shown below. Names of the individuals comprising the team(s) for each team event entered must be lodged by the Team Captains with the Directoire Technique (DT) before the semi-finals of the relevant individual event, if relevant, otherwise, prior to roll call for the specific team event or as requested by the DT during the tournament. Where there are at least two teams entered, the event will be run (even if both teams are from the same State or club). Where there is only one team entered, that team will be declared the winner by default. State-based team events (at Under-15s/Cadets, Juniors, and Open Championships) - there is a maximum of two teams per State for each weapon/gender. Where other nations are competing, this rule extends to two teams per nation. These events are run as a straight direct elimination, with no ranking matches held for third place or lower. Club-based team events (usually only at AFC3) - two teams per club are permitted for each weapon/gender. These events are also run as a straight direct elimination, with no separate ranking matches held for third place or lower. School-based team events (at AFC Schools Championships) - each State is permitted to enter up to two Teams for each weapon/gender. All members of each team must be from the same school. However, where there are less than sixteen teams competing, any vacant places will be filled from additionally nominated teams pro rata according to State membership numbers. The event is usually run as a pool unique format. However, the specific format of the competition will be determined by the Tournament Management Commission and Tournament organisers once the number of entries is finalised. Veteran team events (at AFC Veteran Nationals) - each State is permitted to enter up to two single gender teams. If at the time of team declaration (i.e. at the semi-finals of the corresponding individual event), there are only one or two single-gender teams entered, the event will be declared mixed. If an event is declared mixed, then (a) existing entries may be re-organised to accommodate the change, (b) additional entries may be made by any State, (c) each State is permitted to enter up to two mixed teams. Alternatively, if an event is declared as a separate Men's and Women's event, made up of single gender teams, a State that would otherwise be unable to enter a team in either event, may then elect to enter one mixed team into the Men's team event. at the final four (semi-finals), an introduction of the semi-finalists in bout order pairs and presentation of the fifth through eighth medallists, if required. on completion of finals, a medals ceremony of the top four finalists (according to final ranking) for presentation of finalists medals. Teams are seeded on the basis of the team scores. Team scores are based on the named team members’ final ranking in the comparable individual events. Any team member who did not fence in the comparable individual event, is assigned a ranking equal to the last fencer for that event plus one. In determining the team score, only the final ranking of the top three ranked team members are totalled to determine each team’s score. Teams are placed on the direct elimination tableau according to their team score (lowest being first seed). Each team match comprises a 45 Hit Relay format bout. Entries for veterans events will be accepted under the following five age categories – 40-49, 50-59, 60-69, 70-79, and 80+. Rules for Non-Veterans Tournaments apply with the following exceptions. Separate medals will be awarded to men and women based on the current medal-to-entry ratios and structure documented below. Where a fencer withdraws from a Veterans event at any time up to and including roll call for the reason that it will be a fully or partially mixed event, that fencer will be entitled to receive a full refund of their entry fee for that Veterans event. Poule bouts are fenced to five hits while bouts in direct elimination are fenced to 10 hits. In both cases there are no hits handicapped for age category differences between fencers. The format of team and individual competition will to some degree depend on the number of individual and team entries. The following formats are indicative and may be changed at the discretion of the Tournament Management Commission and the Directoire Technique (with AFF approval) once final entries are known. Two rounds of pools (bouts to 3 hits in 2 minutes) with no direct elimination round. Final placings to be decided by the overall results from pools subject to a barrage for medals if required. One round of pool matches. The format of pool bouts (hits/timing) to be decided when entry numbers are known. Pools to be seeded based on individual results. Placings will be based on overall results from pools. All competitor numbers are taken from entries at the official close of entries excluding any late entries that may subsequently occur. For events with less than four competitors, the event will not be run. The highest placed fencer for each age category will be awarded a certificate of recognition (1-3 fencers) or medal (four or more fencers). Age categories, starting with oldest, are merged down with next youngest age bracket until the cumulative number of fencers reaches the minimum number required for a medal to be awarded, repeated starting from the age category below where the medal was just allocated. No medal or certificate is awarded for an age category if the winner of the category finishes behind the winner of an older age category. single set of medals will be awarded. The AFF strives to meet these objectives while acknowledging the constraints of limited equipment, referees, and time. Equipment control is an integral part of all AFF tournaments. It operates to ensure all competitors comply with minimum safety levels and competitions are not delayed by weapons issues. Setting an equitable benchmark for fair competition also reflects the pride we have in our sport and its honourable history. All AFF National tournaments have podium presentations (medal ceremonies). All athletes are expected to present themselves appropriately for these presentations and respect the importance of winning a medal at a National sporting event. In addition to fencing rules, there are some conventions around score sheets observed at AFC competitions which have been detailed here for information. Some National competitions may have certain bouts where video refereeing is used - in this case, the FIE rules apply (see o.105 of the FIE Organisation Rules - click here). For states hosting national events, a video equipment and live streaming checklist is provided here. Affiliation information is controlled exclusively by state associations, but held in a central (national) database, known as the Administrative Portal. Check affiliation status by viewing your record in the Portal. Occasionally a medal might not be available on competition day. If you have competed in an AFF event and are eligible for a medal which was not presented on the day, please complete this form. A risk management checklist has been developed by the AFF to assist state associations and other fencing bodies run competitions as safely as possible. All AFF National tournaments have a cut-off date for normal entry or registration which is two weeks prior to the first day of the tournament (unless otherwise notified). All entries made after that date are considered to be "late". It is the responsibility of the State to ensure that their fencers are in good standing with the State, properly affiliated and capitated to the AFF. If a levy is charged by the fencer's affiliated state, the state should notify the Tournament Commission prior to the event of the amount of the levy. If the state has not advised that a late entry fencer's levy has already been paid, it will be added to the late entry fee paid directly by fencers to the AFF Tournament Management Commission representatives and remitted to the fencers affiliated state by the AFF. Fencers who cannot compete in AFF competitions on medical grounds should email a medical certificate to [email protected] within one week of the final day of the tournament, and a refund will be arranged (by the AFF, not by the host State or the fencer's home federation or State Association). Refunds will be provided in full for any withdrawals requested prior to the commencement of the late registration period for an AFC event, regardless of reason. After the commencement of late registration period, refunds for withdrawal will not be available for reasons other than medical grounds, except where there are extreme extenuating circumstances, as determined on formal application to the Tournament Management Commission, who will decide the matter in their absolute discretion. The same situation will apply for applications for medical withdrawals received more than a week following the final day of a tournament. Veteran fencers whose event is mixed (men & women) either for the whole event, or for the pools only, may withdraw at any time up to and including the roll call stage of the event, and may receive refund of their entry fee. Note that "transfers" of registration or entry fees from one event to another are not avilable as an alternative to any permitted refund, and that all refunds - regardless of timing or cause - are subject to a $10 processing fee. If you edit your original entry registration, and mark yourself as "withdrawn", this is an acknowledgement that you are no longer able to compete, and any registration fees are forfeited (regardless of cause). 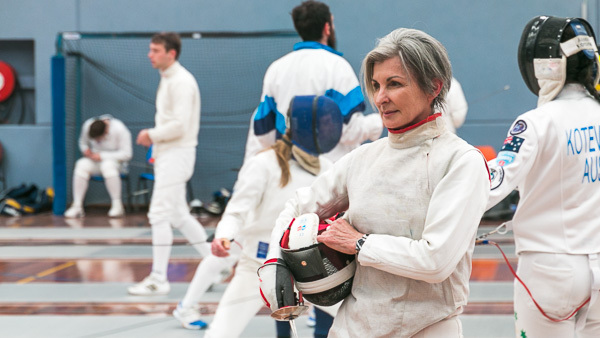 In accordance with FIE rules, veteran fencers are considered to be part of an age category if they 50 or 60 or 70 any time in the relevant year. This approach has also been adopted by the AFF for its domestic circuit to align ranking and selection processes with the FIE - ie fencers are considered as being part of an age category if they turn 40 or 50 or 60 or 70 any timein the relevant year (not as at the date of the AFC event). So, for example if you were born any time in 1968, then in all 2018 AFC events and in the 2018 World Veterans Championships, you are considered to be in the 50+ age category. Age calculations are different for Commonwealth Veterans events. 1. Those who transition from female to male are eligible to compete in the male category without restriction. 2.1. The athlete has declared that her gender identity is female. The declaration cannot be changed, for sporting purposes, for a minimum of four years. 2.2. The athlete must demonstrate that her total testosterone level in serum has been below 10 nmol/L for at least 12 months prior to her first competition. 2.3. The athlete's total testosterone level in serum must remain below 10 nmol/L throughout the period of desired eligibility to compete in the female category. 2.4. Compliance with these conditions may be monitored by testing. In the event of non-compliance, the athlete’s eligibility for female competition will be suspended for 12 months. 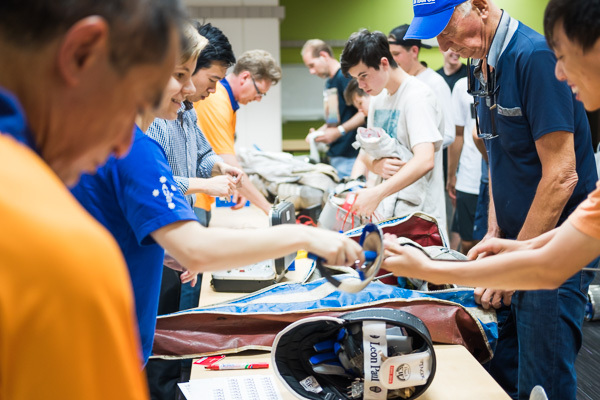 The Australian Fencing Federation strives for fairness and equity in all aspects of its competition policy and formats. In addition to the policies referred to above, the AFF has the following policies in place. An Operational Protocol is information about the process by which the AFF Executive generally makes its decisions. It is designed as a matter of governance and transparency so that stakeholders in various decisions may inform themselves as to how decisions are usually made. An Operational Protocol is not policy, and cannot be subject to appeal.